FanLit thanks Will Daniels for this contribution to our site! I enjoyed meeting and chatting with Janny Wurts at Capricon XXVIII. 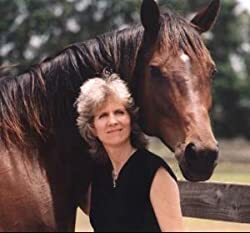 Janny is an amazing woman — a self-made artist and author who’s been in the business since 1981. 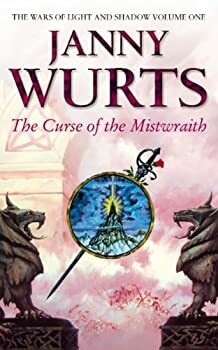 The impression I received from talking to Ms. Wurts was that she is a true fantasy geek. She writes for us, not just for profit. While we were at the autograph table, an aspiring artist who wanted to break into the world of cover art asked for some tips. Janny was honest with the woman. She said that there are only a limited number of slots for cover artists. If you become a cover artist, then you are taking a spot that someone else had. In order to make it, your art needs to be better then everyone else’s. It needs to be clean and clear — not like anime (not that there is anything wrong with anime), crisp and beautiful, and above all, it needs to be different. While this is one of the few professions where men and women excel on equal footing, it is so competitive that only the best and most original survive. Not forgetting her own struggles to become successful, Janny has devoted part of her time to helping aspiring authors and artists. On her website, she not only displays her art, discusses her stories and talks fantasy, she also provides tips to aspiring authors and artists. So what advice does Janny have for aspiring authors? Get recognized and find an editor who believes in you. Publishing is a tough business. It is not for the faint of heart or the weak of spirit. It requires endless hours of dedication and you must work hard to get your product before the people who will enjoy it the most. 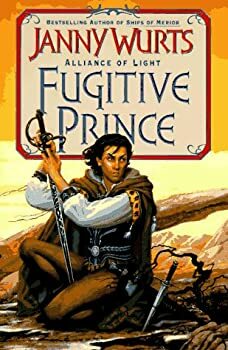 So, how can we, as readers, support our favorite fantasy authors? 1. Go to fantasy forums and talk about your favorite authors. Help to get their names and work known by as many people as possible. As Janny said, not every story is for every reader and what one person may hate another may love. The more people an author can find who love their work the more successful they will be. Word of mouth is the best form of advertising. 2. Go to your local bookstore and check the shelves for your favorite author’s books. If they are missing a book, order it. Computers are impersonal, but they are great at adding numbers. If a publisher’s computer gets an order for a book from a store, then it concludes that not enough books are being stocked for that author and these numbers increase. The opposite is true, too. If an author does not get orders or sales, the computer will conclude that too many books are being stocked and reduce the number of future works ordered. The numbers are important because an author only gets credit and paid for every hard cover and soft cover book sold off the regular shelves (not in the bargain bins or at online discounters). 3. Don’t buy your author’s favorite books off of bidding sites. If a book that you are trying to find is no longer published, contact the author. They may not even be aware that the book is no longer published. 4. Don’t buy advance reading copies (ARCs) of books if they are not yet available to the general public. Some ARCs are given to libraries so that they reach the broadest possible audience (including those that cannot afford such books). Some unscrupulous persons steal these books from the library and then sell them on Amazon and/or eBay. This hurts the author tremendously. Not only is the book not reaching the maximum number of people, but the sale does not count in favor of the author. 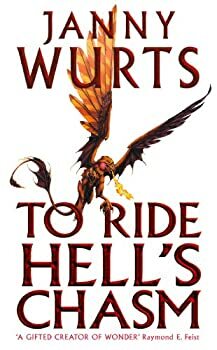 Speaking of advance copies, Janny gave me a copy of To Ride Hell’s Chasm. I can’t wait to sink my teeth into it! We have reviewed 6759 fantasy, science fiction and horror books, audiobooks, magazines, comics, and films.